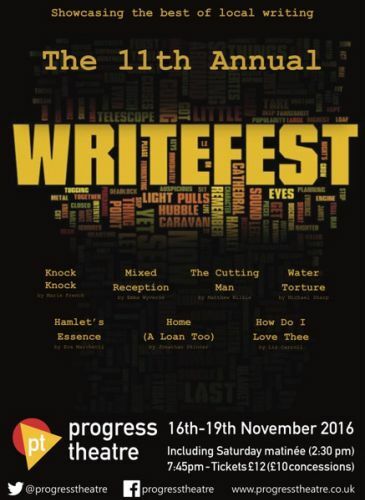 A showcase of local writing - never produced anywhere else - WriteFest is an evening of seven new short plays, chosen by competition. Each year Progress performs a selection of original works from both budding and experienced writers to bring to you this consistently popular annual production. There’s something for everyone, so don’t miss out!